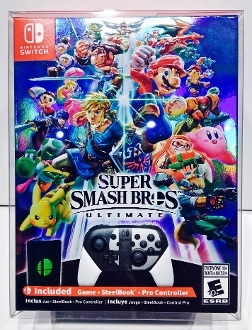 1 custom made box protector for Super Smash Bros. Ultimate Nintendo Switch special edition NTSC. This fits the version sold in the US. If your box is different please let us know your dimensions so we can check to see if we have a solution for you.